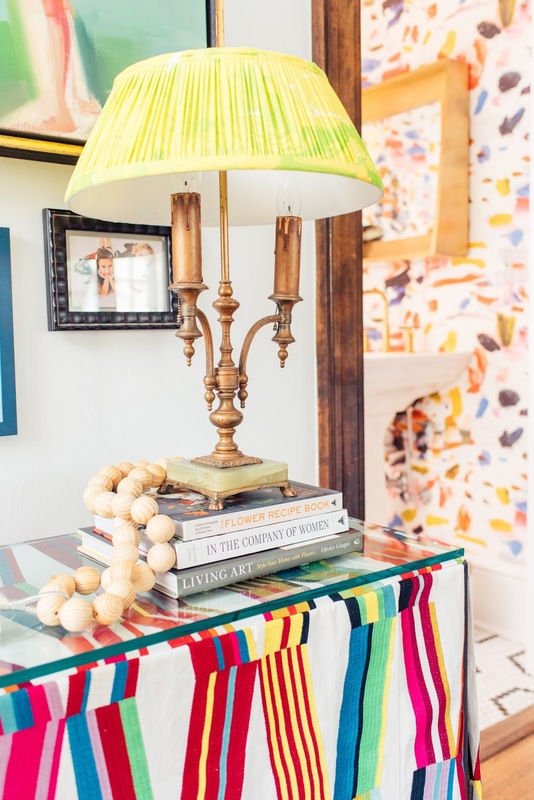 You’ve heard me say it before and I’ll say it again, and again, and again… All the colors, all the time. 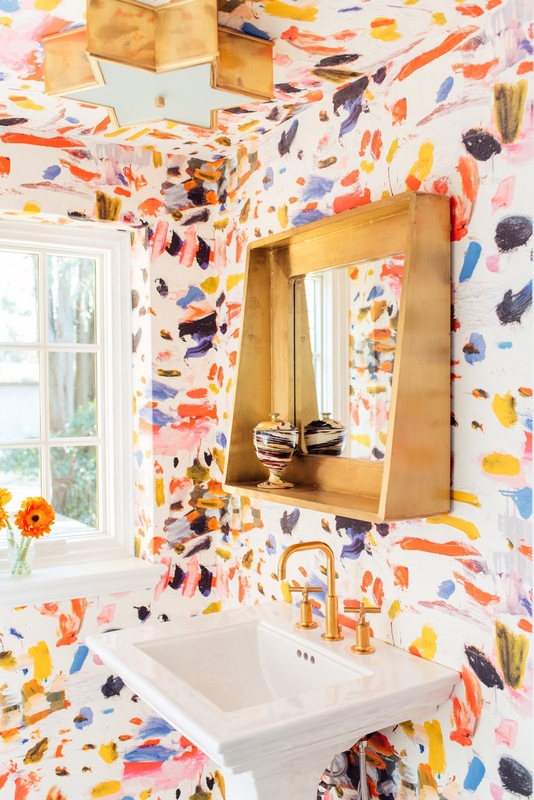 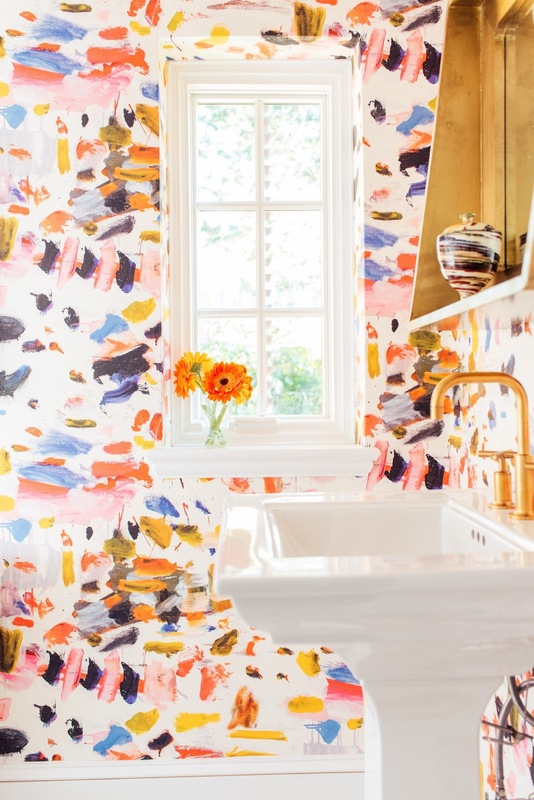 You’ve seen papered powder rooms, but this one is an eye catcher. 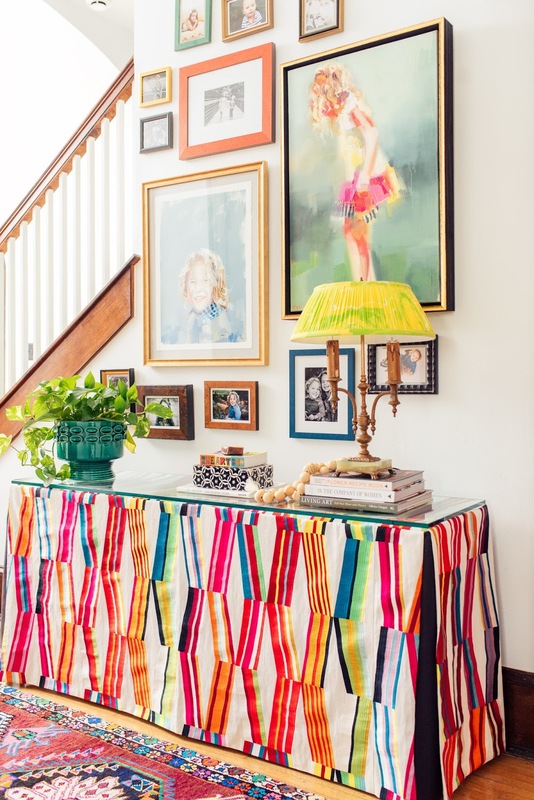 Pierre Frey prints on the table skirt right outside the door & adorning the walls pack a punch. 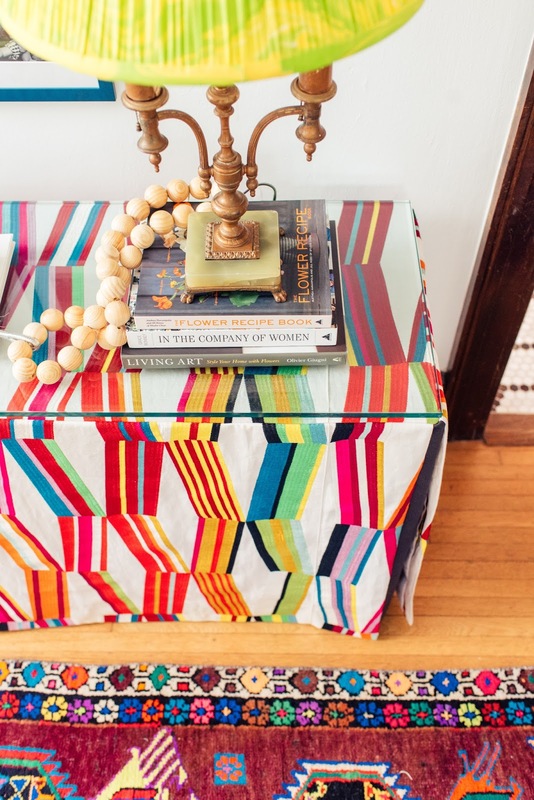 This pair of patterns gives all sorts of pizzazz to this intersection of color. 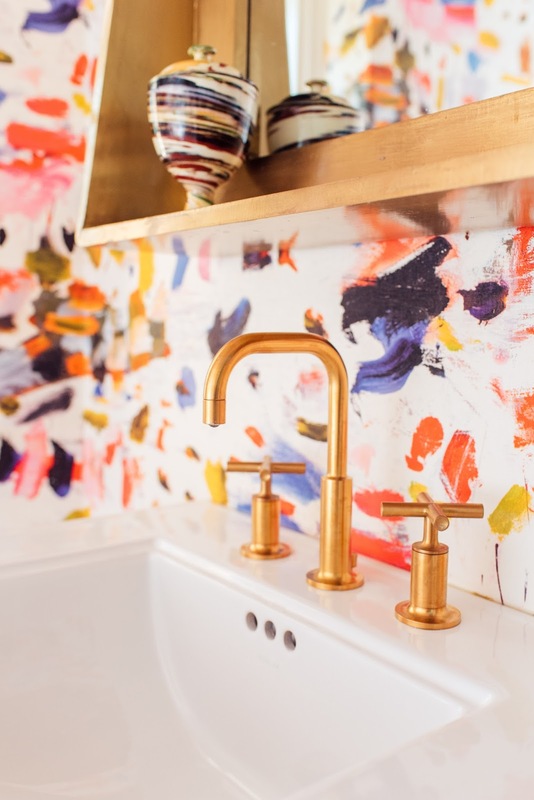 A gold mirror + fixtures from Kohler and Visual Comfort lighting add luscious lines to the space that contrast against the organic painterly lines of the paper. 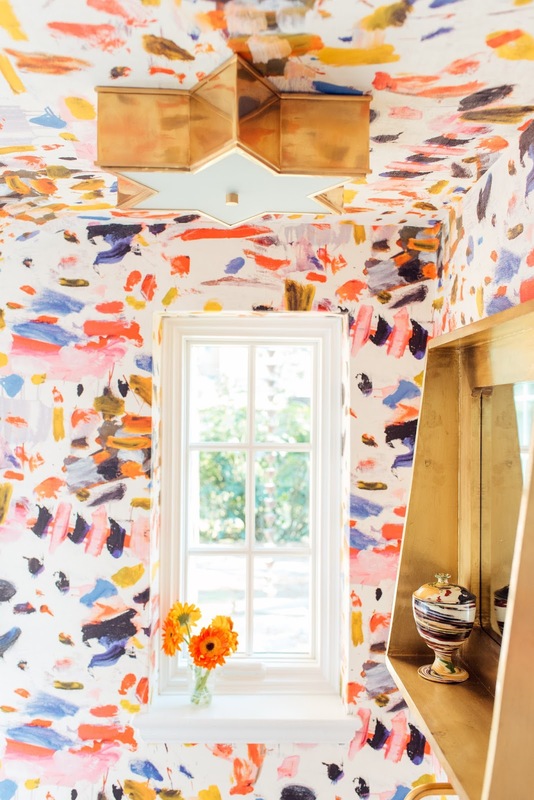 A, what could be serious, marble floor brings a level of sophistication and the juxtaposition just make me all sorts of giddy. 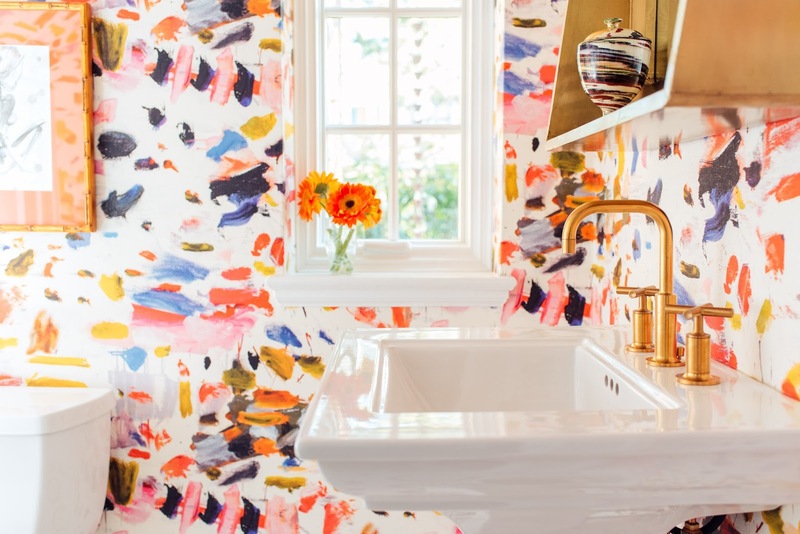 Add in a little art work with a big ol’ mat to break things up, go light on accessories and you’ve got yourself a papered powder room, sure to greet your guests and put a smile on their faces.